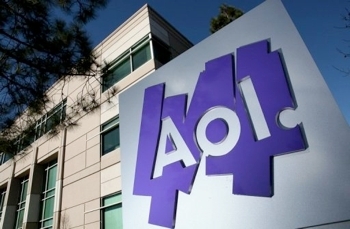 It's no secret that AOL's dial-up business remains a major cash-cow for the once prolific ISP-turned-media company. However, it may surprise you to know that AOL's profit from those dial-up subscribers utterly dwarfs all other facets of its business -- even after they are combined. Dial-up subscriptions account for roughly 70 percent of the firm's profits. According to AOL's latest quarterly report, the company's dial-up unit generated about $159 million in quasi-profit. "Quasi-profit" is a net income figure which has yet to be adjusted for depreciation and certain other expenditures. That amount is nearly triple the combined sum of every other AOL cash generator, including its increasingly successful ad network ($6.4 million) and content business ($8.8 million). A couple of years ago, we mentioned that about 60 percent of AOL's profits come from "misinformed customers". In the 90s, the "America Online" brand had successfully injected itself into the North American zeitgeist. "AOL" and "Internet" became mutually inclusive to millions of people who, in some cases, didn't really know that AOL wasn't the Internet. Some of those unwitting AOL die-hards still pay for service and features they don't necessarily need because they perceive AOL as such an essential part of the web. This phenomenon was referred to by The New Yorker as AOL's "dirty little secret" and has helped maintain the company's slowly diminishing dial-up and supplementary services. Incidentally, this is also the first quarter AOL has posted revenue growth in about eight years. The company says its revenue grew by four percent to $600 million during Q4 2012.